University of California Press will launch Journal of Medieval Worlds, a new quarterly online journal in 2019. Journal of Medieval Worlds will serve as a forum for multidisciplinary scholarship on the world, focusing primarily on 750-1600. The journal’s purpose is to foster innovative research and approaches to pedagogy by publishing peer-reviewed research articles of broad interest that explore interconnections across regions or build meaningful comparisons across cultures. In an effort to meet the needs of and address the challenges of teaching world history, the journal will also regularly publish reviews of books, textbooks, and relevant exhibitions, as well as essays and features on pedagogy. Regions addressed in the journal include Japan, China, Central Asia, South Asia, East and West Africa, North Africa, Oceans and Seas, the Americas, Middle East and Levant, and Europe, including Northern and Eastern Europe. Fields and topics addressed in the journal include, but are not limited to comparative medievalisms, ecology, environment, food and agriculture, the politics of gender, sexuality, health, migration and travel, architecture and urban design, music, and performance, comparative literature, politics, religion, science and technology, and stateless societies. As the central issues in medieval world history are often best addressed by scholarship that draws on methods and evidence from both the sciences and humanities, multidisciplinary focus is essential to the journal. The Editorial Board of the journal can be accessed here. 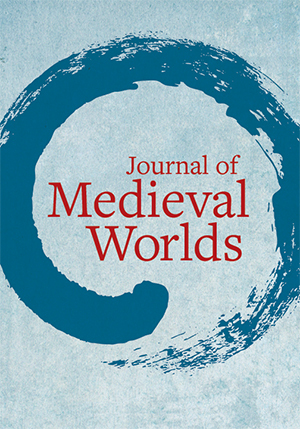 Journal of Medieval Worlds is accepting submissions for its inaugural volume. Please review the journal’s Author Guidelines before submitting. Submissions and editorial inquiries should be directed to the Editor, Edward English at JMWeditor@ucpress.edu.